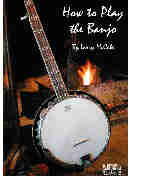 The easy to follow lessons taught here will help you learn your way around the banjo quickly. Beginners of all ages can use this tablature book and note reading is not required. Songs include: Hand Me Down My Walking Cane, Cripple Creek, Careless Love, Amazing Grace and many more.